Apocaflix! Movies’ Top 10 Movies of 2016! In any particular year, movies will have its ups and downs. 2016 was off to a strong start, with acclaimed hits in both the blockbuster and indie genre. 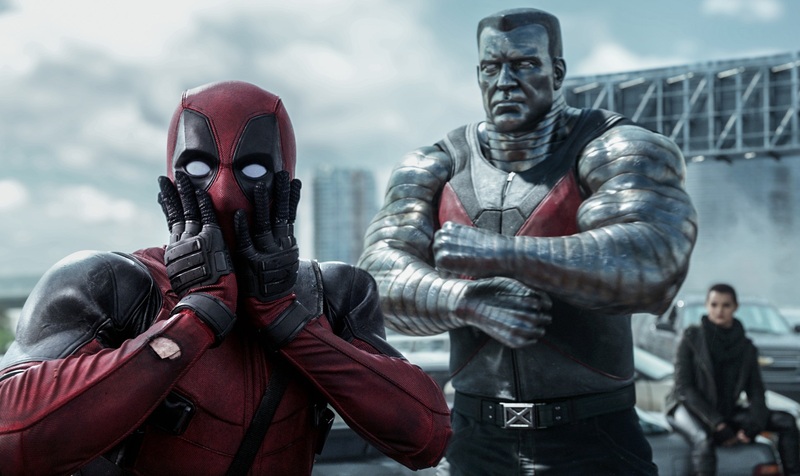 Against all odds, Deadpool proved that comic book movies have much more to offer. Meanwhile, smaller films like 10 Cloverfield Lane surprised us all (literally), and turned out to be a smash hit with critics and audiences. Both films were boosted by clever marketing strategies, and suddenly 2016 looked bigger than ever. Then came the summer of blockbuster flicks, which was filled with so much promise and anticipation. Batman v Superman was set to make history at the box office and, although profitable, it fell much short of its potential, thanks in part to a theatrical cut that divided many viewers. Later came the movies that many felt “nobody asked for.” Movies like Ghostbusters (reboot), Independence Day: Resurgence, Alice Through the Looking Glass, and Ben-Hur (remake). Even films that were highly anticipated, like Suicide Squad and Jason Bourne failed to live up to the hype. Meanwhile, great films like The Nice Guys, Kubo and the Two Strings, and War Dogs were largely ignored. Thankfully, the year finished off strong with several Oscar bait films (minus Collateral Beauty), and even featured some blockbuster gems in Doctor Strange and Rogue One: A Star Wars Story. Speaking of Disney, they’ve had such an incredible, record breaking year in 2016. 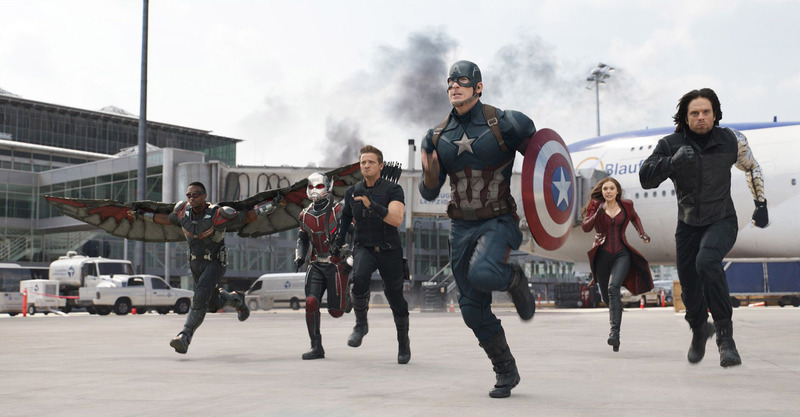 Captain America: Civil War, Zootopia, and Finding Dory all grossed over $1 billion at the box office, while Doctor Strange, Rogue One, Moana, The Jungle Book, and Pete’s Dragon were all critical darlings and mostly box office hits. So while this past year had its share of ups and (mostly) downs, it definitely finished off strong. We’re almost done with January, and the forecast for movies in 2017 is looking really good. However, before we talk about our most anticipated films of the year, Apocaflix! 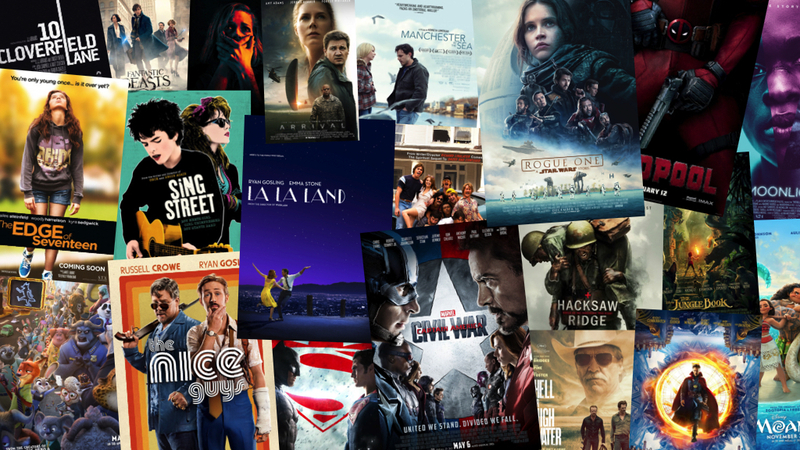 Movies would like to share our Top 10 Movies of 2016 consensus list. The Damien Chazelle film that has been anticipated for months following its raving festival debut finally hit theaters in December and it arrived with a bang. 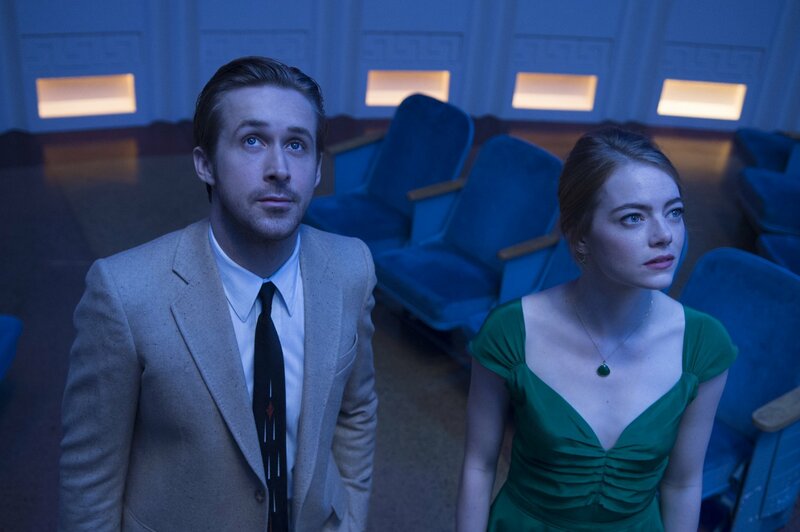 While still very much unknown leading into its release, the romantic musical starring the incredible duo of Emma Stone and Ryan Gosling wondered audiences everywhere, as it arrived with thunderous applause and box-office success that has kept it above most for the last handful of weeks. While for certain taste, it features a few “numbers” that will have you humming them for hours following, as well as a strong, old school Hollywood story that will surprise you from the very beginning. The film swept every category it was nominated for at the Golden Globes, which is definitely just a precursor as to what’s to come in the near future. Has Disney Animation Studios surpassed the once invincible Pixar? Major hits like Princess and the Frog, Wreck It Ralph, and Frozen made a case, and then came Zootopia. A beautifully animated film that introduced us to a civilized world populated by animals. This film had it all. Fun characters with the fearless bunny Lt. Judy Hops, and the red fox, con-man Nick Wilde. The story had major heart and important themes. It was an unexpected blast that audiences couldn’t get enough of, as the film grossed over $1 billion at the box office. This musical drama that no one saw generated early buzz in 2016 with critics. After we saw it, we’re convinced that Sing Street is one of the best feel good movies that have come out in recent years. The film features original music that’s not only catchy, but will be stuck in your mind for days. It’s a coming of age story about a teenager who uses his musical talents, and enlists fellow students in creating a band to impress a girl. The choreography of the music videos is great. However, the best part of the film is a scene stealing performance from the main character’s older brother, played by Jack Reynor. 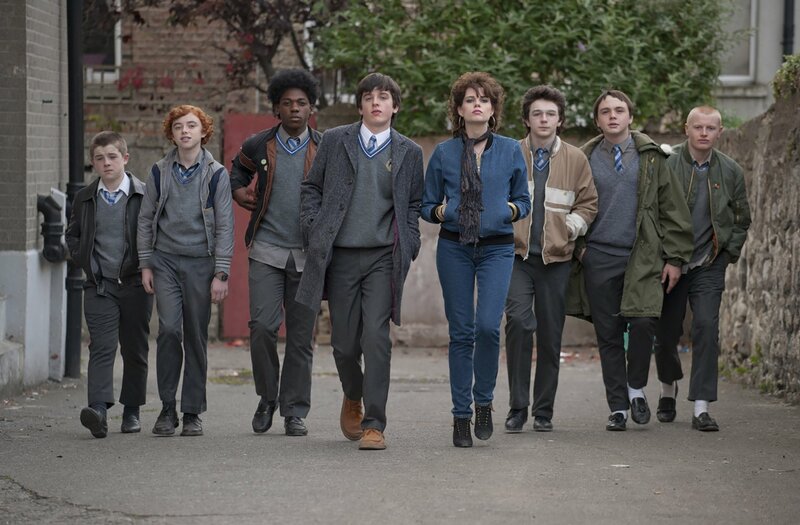 Sing Street is a small film that deserves more recognition. 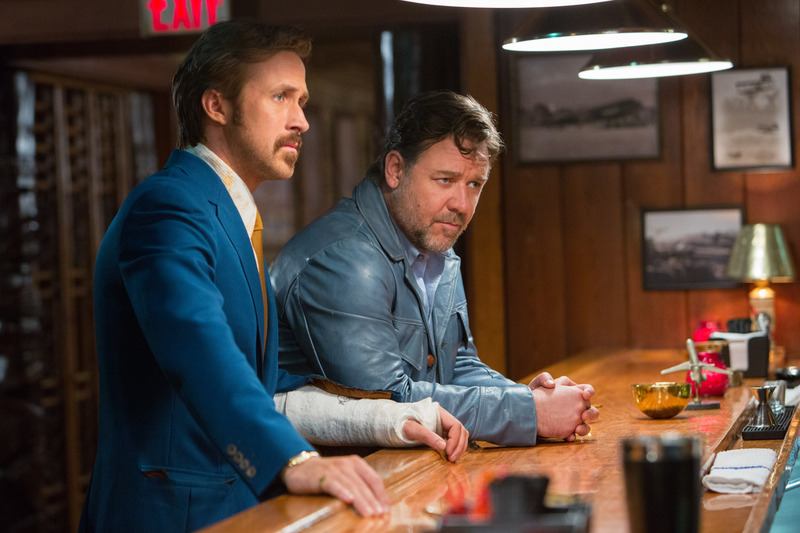 Great mystery/crime noir flicks don’t come around often, and what happened to The Nice Guys is a perfect reason why. Directed by Shane Black, who earlier gave us the awesomely fun Kiss Kiss Bang Bang, gives us more of the same here. Its two leads in Ryan Gosling and Russell Crowe, as private investigators, have great chemistry. They’re fun to follow along in this 1977 Los Angeles setting, as they investigate the disappearance of a teenage girl. Crowe is great as usual, especially since he looks to be having fun in the role. It’s Gosling that really impresses, as the part-time investigator, full-time father, who struggles with his inner demons. The comedy in the movie is violent, inappropriate, and well timed. It instantly became one of the most entertaining smaller budget films last year. Yet once again, nobody saw this movie. It’s pretty rare to see a film have a two-time Oscar nominated director and three stars that could easily be leading their own Oscar-type film, but luckily we got that this year in Arrival. 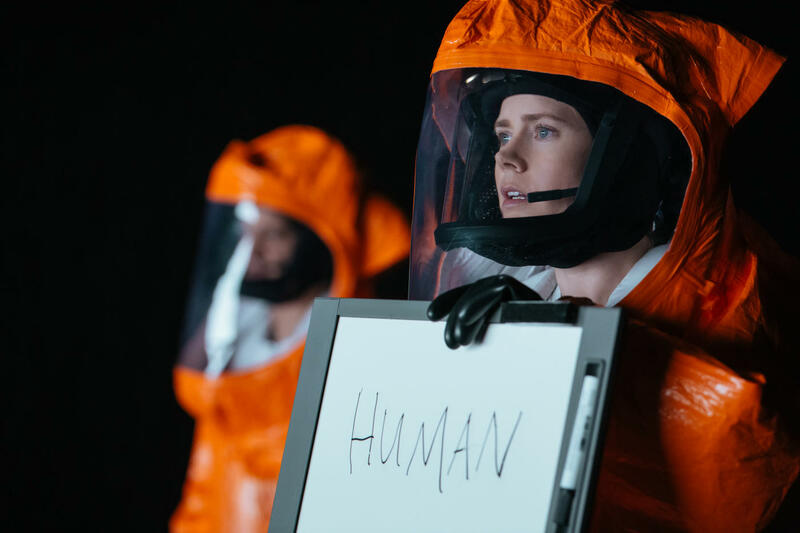 Directed by Denis Villeneuve of Prisoners and Sicario fame and starring Amy Adams, Jeremey Renner, and Forest Whitaker, Arrival seemed to create no buzz, until its release that is. Once in theaters, viewers who went to see the film were pleasantly surprise with how brilliant a slow-burning film could be. Dubbed as an “alien invasion” film, this sci-fi epic from Villeneuve took a step back and gave us one of the most original sci-fi films of the last decade, as action and big set pieces took a back seat to strong character, fantastic dialogue, and a near perfect story that will have you thinking about it for hours. Look out for this one next month. Would telling you that Chris Pine gives the best performance of his career, so much that it deserves Oscar consideration be enough to sell you on watching Hell or High Water? If not then no worries, because that’s just one part of what makes this film so good. Pine plays one of two brothers, who go on a series of heists through several small towns. Aided by his short tempered, loose triggered brother (Ben Foster), the two men are pursued by a Texas Ranger (Jeff Bridges) who’s near the end of his career. You know the writing is brilliant when you find yourself sympathizing for these two brothers, even after their violent acts. This slow paced crime drama is carried by its incredible performances. Welcome back, Jeff Bridges! It’s amazing what the internet can do sometimes. How one “accidentally” leaked test footage can convince a studio to take a chance on a project that was meant to happen. Deadpool went from an unknown comic book character, to memorable onscreen supporting character that was later ruined, to a must-see leading character that came into the genre at the right time. You know the saying, “you two were made for each other”? That couldn’t apply more perfect to Ryan Reynolds and Deadpool. His charisma as Wade Wilson shines more than ever. This film doesn’t work without Reynolds and his team. Director Tim Miller tells the story in a clever chronological order, and the brilliant writing allows everything to work within the limitations set by the production budget. The film is literally everything put into one. At its core it’s a romantic comedy that has moments of action, drama, and horror. Deadpool’s success proved that R-rated, low budget comic book movies can work, as long as it has a talented and passionate team, good enough story, and even better marketing campaign. Rogue One: A Star Wars Story not only proved that Star Wars anthology films can be successful, but also necessary. Taking place shortly before the events of A New Hope, this films tells the story of the brave rebels who gave their life to steal the plans for the Death Star. 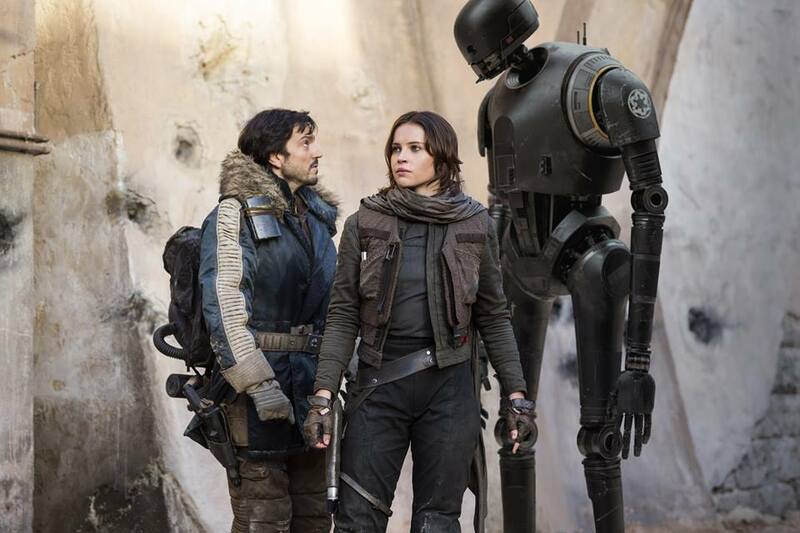 Rogue One is unlike any Star Wars film before it, with its gritty and grounded tone. It’s a beautifully shot movie, with landscapes never before seen in a Star Wars movie. The Rebel Alliance is more desperate than ever, and the Empire hasn’t felt this intimidating since The Empire Strikes Back. Felicity Jones, Diego Luna, and Ben Mendelsohn give excellent performances, while Donnie Yen and Alan Tudyk steal the show. The cameos alone are more than enough fan service, but one sequence involving a certain character will leave you speechless. A true story about a World War II medic who refused to bear arms and ended up saving 75 men which is directed by Mel Gibson sounds great on paper, but the end result on the big screen is even greater. In Hacksaw Ridge, Gibson directs a war picture in a way only he can direct. The war sequences are true to its violent nature, with blood, terror, and screams that create a hell on earth. In the middle of the hell is one of many brave soldiers in Desmond T. Doss, who with every life he saves calls to God to let him save just one more. Andrew Garfield delivers a powerful, courageous performance as Doss. 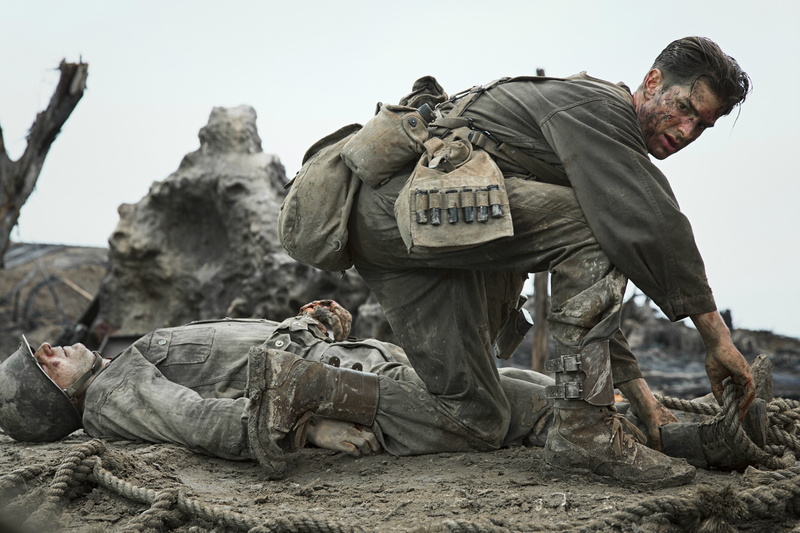 Hacksaw Ridge is not just a powerful war picture, it’s also a reminder that Gibson is one of the best filmmakers ever, and Hollywood and audiences should welcome back with open arms. Too obvious? Maybe. But truthfully, the Joe and Anthony directed Captain America: Civil War had the most risk of 2016, and yes, that includes 2016. If it failed, where would have the MCU gone? Every film following relied on this massive movie being an even more massive hit, and that it was. Not only was it a complete geek out seeing all these characters on screen together, but the Russo’s not only captured the comic book arc it was based on (Cap and Iron Man fighting, come on?! ), but evolved it into the big screen version it needed to be, building on all the stories that have led to this exact moment. With unbelievable action sequences (that airport scene though! ), amazing character development, and the balls to leave the Avengers universe in shambles (for now), the Russo’s (and everyone involved) created not just the best comic book movie of the year, but the best film. Period. Make sure to comment below on not just our list, but let us know yours! Any surprises on ours? Do you agree? What’s different on yours? And as always, thanks for keeping us company!